Yes, that’s a fried chicken breast wrapped around a cheese-stuffed chicken hot dog. 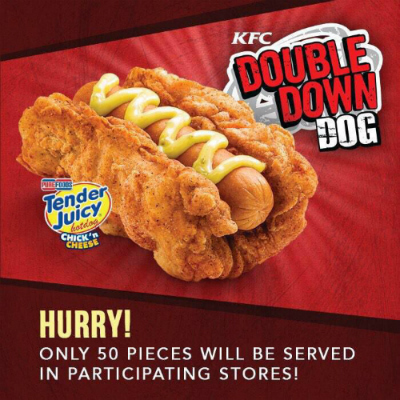 And no, it wasn’t invented at an American county fair – it’s only available at KFCs in the Philippines, and only 50 are sold in each store. Presumably because they’re waiting to see how many people drop dead after eating one, and anything 50 or under gets covered by liability insurance?